The small town of Bridgewater, Maine is located in northern Aroostook county and named after Bridgewater, Massachusetts. 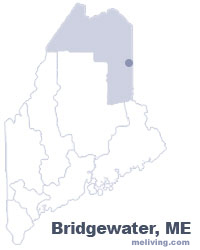 To share any Bridgewater, Maine information with us, please contact us. Learn more about advertising in MELiving.